Welcome back to Wish List Day—we’re excited to introduce you to Martingale’s May 2019 new releases with today’s special sneak peek! 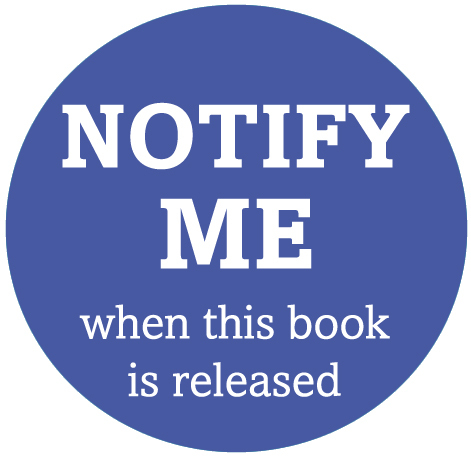 Keep track of your favorite new books by using the “Notify Me” and “Wish List” options at ShopMartingale.com. Browse the latest batch of Martingale books below; then enter to win your favorite book of the month at the end of this post! Make quick quilts and love them lots—that’s living the prairie life! Lynne’s Layered Patchwork method eliminates many of the pitfalls of traditional piecing, including tricky points, mismatched seams, and bulky seam allowances. The simple technique—cutting shapes and topstitching them to a base fabric—helps you get to the finish line fast. Projects hold up wonderfully, wash after wash! With these gorgeous quilt, runner, and pillow designs, you can infuse home and hearth with the prairie-life look. Sew projects two ways—some are made with Layered Patchwork and some with traditional piecing. DID YOU KNOW? Lynne was a social worker in her first life! Together Lynne and her husband Robert run Kansas Troubles Quilt Shop in Bennington, Kansas. Downtime is spent relaxing with their six kids and nine grandkids. Visit Lynne’s website: KTQuilts.com. “Turnabouts” are darling little quilts that do double duty. Drape them over items to see two delightfully different sides! One end of each 12″ x 24″ quilt shows off a single block, while the opposite end features a four-block arrangement. Simply turn the quilts this way or that to suit the scene. 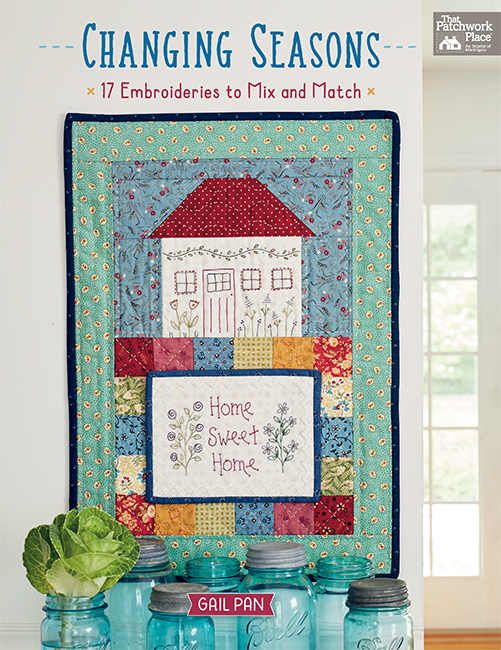 Jan’s charming quilts feature a happy blend of seasonal and everyday motifs to display. And the appliqué? Jan’s carefree folk-art style embraces imperfection, inviting you to just have fun—on the double! DID YOU KNOW? Jan’s been designing primitive folk-art quilts for more than 25 years. She also designs fabric for Moda Fabrics and she hosts her own Youtube channel focused on needle-turn appliqué tutorials. What a busy lady! 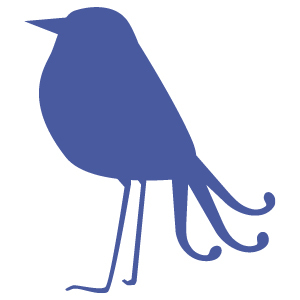 Visit Jan’s blog at JanPatek.blogspot.com. Inspired by the touching real-life letters of Jacob and Emeline Ritner, a husband and wife separated by the Civil War, quilter Becky A. Wright has designed quilts to pair with the captivating stories the couple shared. Life on the battlefield, struggles on the home front, and love maintained through nearly four years of separation are captured in 11 antique-style designs. Authentic excerpts from Jacob and Emeline’s letters shed light on the inspiration behind each quilt and give you a taste of what life was like for everyday people during the Civil War. DID YOU KNOW? Becky A. Wright learned to sew at age four from her grandmother, using scraps to make doll clothes by hand. She’s given presentations on textiles and quilts of the Civil War in her home state of Iowa, throughout the Midwest, and as far away as Maine and Florida. Visit Becky’s blog: TheCivilWarQuilter.blogspot.com. Which new book above would make your May marvelous? Name it in the comments and you could win it when the book is released! We’ll choose a random winner one week from today and let you know by email if you win. Good luck! And by the way . . . April books are available NOW! Reminds me of my Gret Grandmother. Prairie Life! I really need this book please! As always thanks for the great giveaways. Prairie Life and/or Quilts of Love and Valor! I keep going back to the timeless blocks, and repro OR modern fabrics. Plus, we’re a military family…. Quilts of Love and Valor has stolen my heart. I’d love to win it! This was a difficult choice but I decided on “Prairie Life”. I love all the beautiful quilt patterns. Thanks for the chance. I would love to win Quilts of Love and Valor. I love that time in history(Civil War) and to celebrate those who fight/fought for our freedoms even yet today. Are you kidding? Any of those books would make my May marvelous!! All three new releases look interesting but I am particularly drawn to Becky Wright’s masterpieces! Love tabletop turnabout! Can’t wait to get that book and make all the projects. Quilts of Love and Valor is lovely and would go with my stash. ‘Quilts of Love and Valor’, beautiful quilts. These books all seem fabulous! Would love to get all of them. I guess my first choice would be PRAIRIE LIFE. I’ve only bee quilting about 5 years now and fell in love with the Kansas Troubles fabric. It has “my colors” and love the prints. I also have come to love the civil war prints, so QUILTS of LOVE and VALOR would be a close second. Prairie Life is my choice. I would love to receive "Quilts of Love and Valor". The patterns (one after the other) are beautiful. I am a reproduction fabric lover and love Civil War patterns. I have one book but would love another! Truthfully, any of the books would make my May marvelous. I would love to have the Table Top Turnabouts. Tabletop Turnabouts looks like something I would really enjoy! "Quilts of Love and Valor"
I would enjoy Prairie Life. 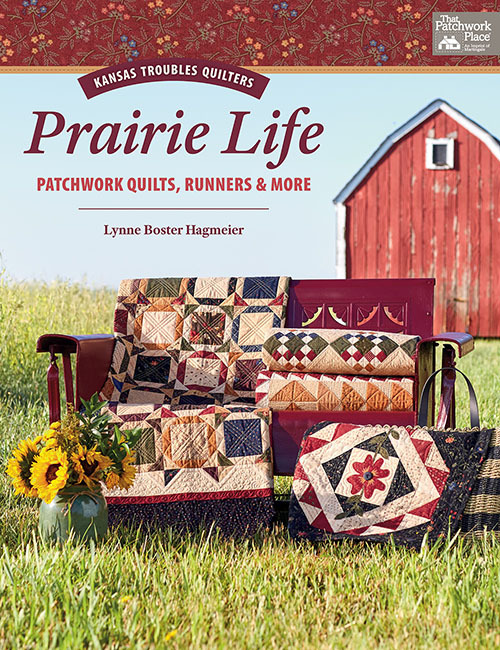 I’m from Kansas and know some of Lynne’s quilters, so has to be Prairie Life! Thanks for the chance to win a new book!! Happy April! OMG, they all look wonderful. I would be happy with any of them. Prairie Life. There are several flying geese type quilts I would try in it. All 3 books look wonderful. You continue to give us such hard choices. If I had to choose I think it would be Prairie Life, but I’d bet I wind up with all 3. I have made many of Jan"s quilts, and love them all. Wow, this is a difficult choice! I would love to own Becky Wright’s Quilts of Love and Valor. Every quilt shown is gorgeous. Thank you for this opportunity. I would love to win Prairie Life by Lynne Hagmeier. Such beautiful quilts! Makes naming only one choice really tough ‘cause I’d love all of them!! I guess it would be Quilts of Love and Valor for me. I enjoyed studying the quilting in the photos of the quilts shown in Prairie Life. I always looking for new ideas. Quilts of Love and Valor look gorgeous! This decision is hard because all three look great! I will choose Tabletop Turnabouts as I would like to make the Easter topper. Prairie Life would make my May marvelous!! Quilts of Love and Valor, I like the civil war era and have a stash to prove it. I would be so excited to win “Prairie Life” by Lynne Hagmeier. I love her patterns, books and fabrics! I think the book of small quilts. I saw a quilt i just would love to make but the pictures go by so fast. Prairie Life is a wonderful book. Thanks for pre sharing it with us and all the other books also. All the new titles look terrific……but, Jan Patek’s Tabletop Turnaround is the one that makes my heart sing! Definitely Quilts of Love and Valor! Stitched from the Heart is the book for me. Love your giveaways. You are very generous. All 3 books look fabulous! I really like Tabletop Turnabouts. The designs are adorable! Prairie Live would be my choice. 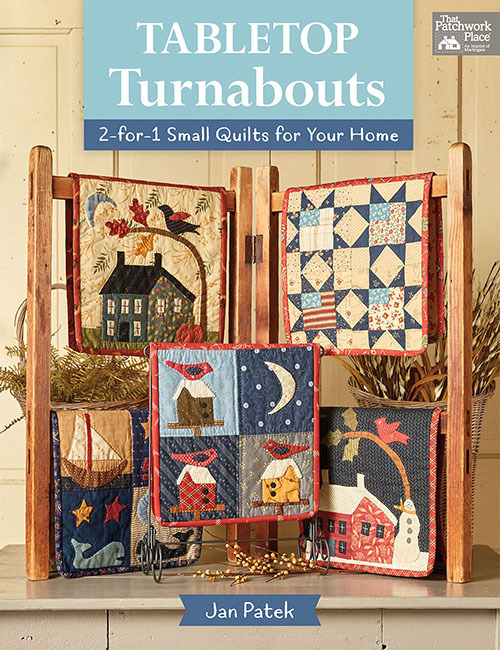 I love Kansas Troubles fabrics and patterns, and would love to add this to my stash. My May would be Marvelous with "Prairie Life"…. although any new pattern would make my May! I would love to try the quilts in Prairie Life! I would love to win "Tabletop Turnabouts". A long time fan of Jan Patek’s quilts and these are a size that I could finish! Prairie Life by Kansas Troubles. I really like the quilts in Prairie Life and would love to win it. Looking forward to Tabletop Turnabouts! Quilts of Love and Valor! Love the quilts and the stories behind them! The first quilt I ever made was a Civil War reproduction and it is my husband’s favorite.. So it would have to be "Quilts of Love and Valor" for me.. I like all the books — I would choose Quilts of Love and Valor. Thank you! I like them all, but really Love the Kansas Troubles Quilters Prairie Life. That churn dash table runner is fabulous!!! "Prairie Life" will be a must have for me, as Kansas /Troubles are my favorite fabrics! Can’t wait for Quilts of Love and Valor! The cover quilt is gorgeous! Oh my gosh, I want them all! But I will choose Prairie Life – thanks for the chance to win. "Quilts of Love and Valor"…because it has historical writings as well as quilt patterns. Who doesn’t love a 2 for 1 deal? Love the idea of Tabletop Turnabouts! Such fun designs. All three of these books look amazing, but I think Prairie Life is my favorite. I would love to win a copy of Quilts of Love and Valor. I love the Civil War period but am thankful for all who helped or are helping keep our country free to this day. I think Prairie Life would make my May marvelous. The others might also. They all look great. So hard to decide. Definitely want Prairie Life and Quilts of Love and Valor. I think Prairie Life would be my first choice. I would love to have Quilts of Love and Valor. I have just made my first Civil War quilt and would love to make another! I really lik the looks of Prairie Life. I would love to win Prairie Life by Lynne Hagmeier. I enjoy making traditional quilts, and these look like they would be a lot of fun to make! 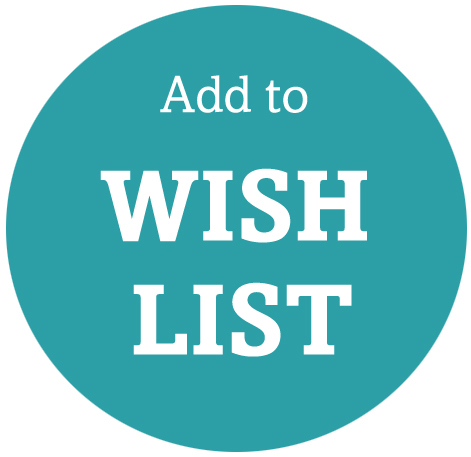 I always enjoy Wishlist day! The new books are always wonderful and it is always hard to choose. This time, I would choose "Quilts of Love and Valor". Thanks for the chance to win! Quilts of Love and Valor is on my wish list! Tabletop turnabouts would be my choice! Prairie Life looks like fun! I like Tabletop Turnabouts – cute idea for arty quilts! Prairie Life by Lynn Boster Hagmeier, I love her work! I’d love to have the new book Quilts of Love and Valor. Quilts of love and valor!love it. I would like "Prairie Life". I love all the patterns that I saw on the slide show. Just my style. Thanks for the chance to win it. Table Turnabouts would be my book of choice. I make a lot of table toppers and table runners and I love applique. Love them all this time, but Prairie Life would be me too choice! I would love to have Lynne’s Prairie Life! I love the Prarie Life book. The paterns are very homey and warm. I love Kansas Troubles so my pick would definitely be Prairie Life. That would make my May very marvelous! Kansas Troubles Quilters Prairie Life by Lynne Hagmeier would indeed make my May marvelous. She is such a talented individual and her quilts always look so very comfy to curl up in. Her book is a definite must on my list. They are all filled with amazing patterns, but the Table Top Turnabouts are just too cute to pass up. That’s the one I would love to have. Quilts of Love and Valor intrigue me most o the three books. Thank you for the chance to win. Born in Iowa, anything with a pastoral setting or red barn *sigh* strikes a chord deep in my heart. Prairie Life would be wonderful to sit and daydream with and has many projects I’d like to make. They are all beautiful books! I would love to that the Table Top Turnabouts. They are just too cute!! Just love repro quilts and the stories behind them. So, would have to definitely put my bid in for Quilts of Loves and Valor. Thanks for the chance to win one of your beautiful books. All three books look amazing! I would like to have the "Stitched from the Heart. I have made several of the designs from "Stitched for Christmas" and love the beautiful designs and the excellent instructions. Thanks so much! 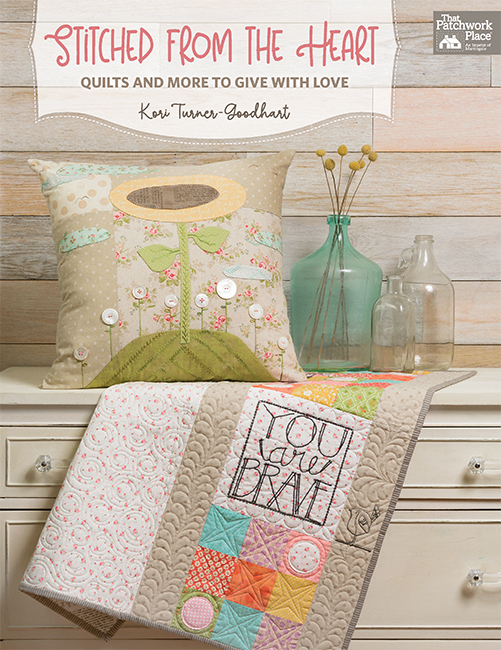 Quilts of Love and Valor looks like a great book for scrappy quilt patterns! Thank You, I’d love to win the new book Quilts of Love and Valor. Definitely Quilts of Love and Valor, I love all these designs! Kansas Troubles Prairie Life looks scrumptious! Well, they all do, but my first choice would be Prairie Life. Prairie Life! Love them all! Thank you for the opportunity to enter! Thanks for the chance! I’d like to try for the Tabletop Turnabouts. They look small enough for a standalone or to incorporate into a bigger quilt. May will bring Stitched from the Heart. Love the designs in Quilts of Love & Valor! Difficult decision, but I choose Prairie Life. Prairie Life would be my choice. I love Tabletop Turnabouts book. I make many of my quilts reversible so I can see on inside and one from the outside. I bet there are many hints I would learn when I get the book. Thanks for the chance to win. Prairie Life! Lynne Hagmeier has been one of my favorite designers for a long time. Prairie Life looks good to me. I’m a fan of Lynn’s layered patchwork technique and this would be a great addition to my library. I would love to win Quilts of Love and Valor! So many great quilt patterns. Prairie Life would be my pick. It is so hard to decide, I love the quilts in each of these books! Applique is something I am driven to do, so Tabletop Turnabouts would be delightful and fun. I am a Veteran, and QOV designs definitely call to me. The layered patchwork technique of Lynne’s makes things go so smooth and easy. That along with all those new designs, scrumptious! So, put me down for any one of these books making my month of May happy! Thanks for the reviews and opportunity to win one of these delightful books. Tabletop Turabouts…. please…. Happy Spring! I love the traditional piecing and look of Kansas Troubles quilts and would so much enjoy makings few of the items in Prairie Life! Thanks for the opportunity to win this book. The book, Quilts of Valor and Love would be amazing.I love tangible history so much. I would love to win Jan Park’s new book. I love her primitive style. Thank you for the opportunity to win her book. The bunny projects in Table Top Turnabouts are adorable. The projects looks like they would be quick and easy to make, so I would probably get them finished. With the high probability of completing these project, I would have to say Table Top Turnabouts is my 1st choice. Quilts of love and valor. Prairie Life. I love the quilts the depict the stories of the pioneers that traveled across the prairie. My grand parents and families did this, so is a part of my history. Plus I love the Kansas Troubles line of fabrics. They remind me of the wild things I see growing along the fields when I am out on walks. Tabletop Turnabouts is wonderful! I am a newbie to quilting and this book has so many cute smaller projects to inspire me to create something beautiful. Id love to win the KS one because I am a Kansas girl! Quilts of Love and Valour would have to be the one. I love civil war reproductions!! Thank you – I like the quilts in "Prairie Life". All three books look marvelous! If I were so fortunate to win, I would say just pick one at random. I know I would be thrilled any way it goes, they are all just my cup of tea! I love the book "Prairie Life"! 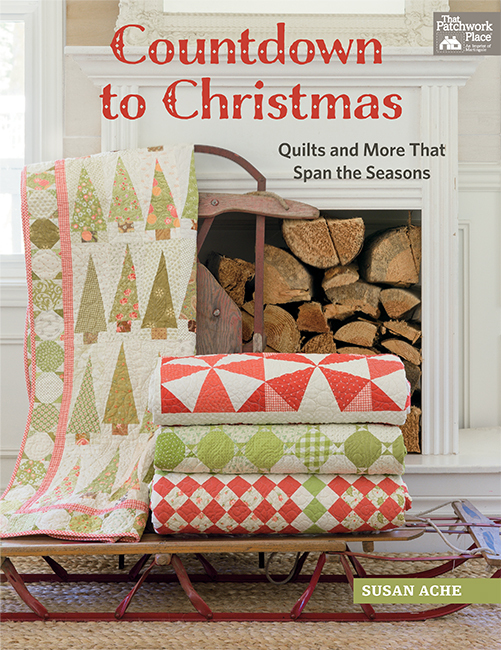 That book has the type of quilts I love to make!!! Love to see and get ideas from the Tabletop Turnabout book. Kansas Troubles Quilters Prairie Life! I love the book Prairie Life ! I like the traditional look it has ! Beautiful books! I pick Prairie Life! Prairie Life-the colors always lure me. I would love the book "Tabletop Turnabouts". In recent months my passion has become doing applique patterns. Tough choice, again. I think my first choice would be Quilts of Love and Valor. Quilts of Love and Valor would be my choice. Just completed my first Quilts of Valor for my son. Tabletop turnabouts looks like a lot of fun. Prairie Life is really intriguing to me. Love all the settings for pictures. If I had to pick one, it would be Tabletop Turnabouts. Quilts of Valor is my choice. All the new selections look very interesting. Thanks for the giveaway. It’s a tough choice, but I think my pick would be Prairie Life, because I am a prairie girl! I am loving the look of Quilt of Love and Valor! My favorite May book is Prairie Life. Tabletop Turnabouts looks like a book I’d love! Difficult choice but Prairie Life would have to be first. If I could only choose one, it would be Prairie Life! Prairie Life for me, please. Thanks! Looks like fun books coming. I’d love to have Tabletop Turnabouts – I’m a big Jan Patek fan! I would love to win Quilts of Love and Valor! I would like to try my hand at a Quilt of Valor. I would love Prairie Life. I love working with civil war reproduction prints. Kansas Prairie Life is my choice! Winning a copy of Kansas Trouble Quilters Prairie Life would not only make it a marvelous May but also a marvelous rest of the year!!! Count down to Christmas. Love making seasonal decor. Thank You. I think Prairie Life looks great. Prairie Life would definitely make my May marvelous! Difficult to make a decision, but Quilts of Love and Valor is my first choice. Quilts of Love and Valor is my choice. It is a hard decision to make, but I think I would love to make any of the quilts pictured. Gosh, Ya’ll make it hard to choose! LOL Quilts of Love and Valor speaks loudest in my heart though. I love all of it and I would love to win anything! Prairie Life would make my May quilting marvelous! Quilts of Love and Valor. Can’t get enough of civil war inspiration quilts. They all look great! But have to say Prairie Life is my favorite!!! Tabletop Turnabouts looks like it has fun, quick projects. These would be perfect for small quilts on my entry table. Really hard to choose, but I would pick Prairie Life. Thank you for the opportunity. Prairie Life by Kansas Troubles would be a wonderful addition to all my Kansa Troubles fabric. Quilts of Love and Valor would be a great addition to my collection. Quick and Easy! I would love it! I would love to win a copy of Prairie Life. Thanks for the great giveaway! Quilts of Love and Valor would be an awesome surprise! I’ll keep my fingers crossed! I would say any of the 3 but if I had to choose just one maybe Quilts of Love and Valor. The patterns in Quilts of Love and Valor are unique. I’d like to give a couple of them a try. Thanks for the drawing. Tabletop Turnabouts, How fun, Just what I need. Quilts of love and valor. I’m new to quilting and at the beginning of my love affair with quilts, I was attracted to the modern quilts. As time has gone by I have found that I love the older quilts. Civil war and 1930’s reproduction is so beautiful and it’s a part of our history. Tabletop Turnabouts would be my choice. Thanks for the chance to win. As much as I love everything Kansas Troubles, I would pick Quilts of Love and Valor. Sounds like a beautiful story! My choice would be "Prairie Life"
Hard to choose but Prairie Life is my favourite. Can’t wait. Quilts of love and valor would be my choice. Thanks for the chance to win a copy. Quilts of Love and Valor looks interesting. I’m not familiar with the author but look forward to getting to know her work. Table top Turners looks like a great book to have! That “Quilts of Love and Valor” looks great! As a veteran , I’m going to pick quilts of love and valor. Love all these books, but I think I would do more projects from Prairie Life or Quilts of Love and Valor. I loved the unique settings in both of these books. QUilts of Love and Valor please. Thank you for the chance. it looks right up my alley. OOps! put my comment in the wrong box. Here it is correctly placed. I would dearly love a copy of Prairie Life as I now live on a ridgetop prairie which was a life long dream for a city girl. I’m busy making quilts to decorate my over 100 year old farmhouse and think several in this book would be beautiful additions. Congratulations on your continued good choices for books to publish and for us to gobble up for our libraries. 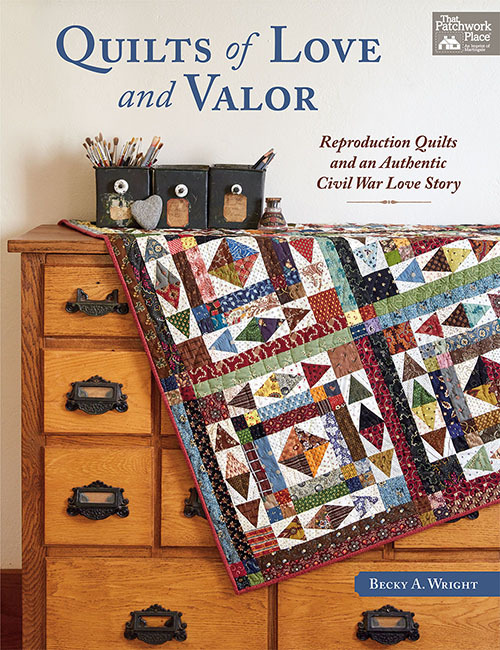 Lynn’s books are always great, as are Jan’s, but as a history lover, I’d have to go with "Quilts of Love and Valor". Tabletop Turnabouts is my favourite. Love Lynne H.’s Prairie Life. Her f@brics and designs are beautiful. Thanks! I love Quilts of Love and Valor! Prairie Life would make my May complete! Beautiful patterns! 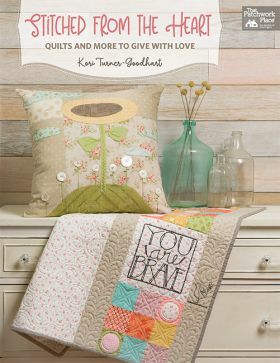 I would love the Kansas Troubles Quilter Prarie Life book, looks so lovely. Kansas Troubles Quilters Prairie Life is eye catching! Quilts of Love and Valor. Beautiful! Tabletop Turnabouts looks like a fun book to have. Oh the projects in Tabletop Turnabouts look fantastic! Prairie Life book woukd make my days great. I would love a copy of Prairie Life. These quilts are beautiful and I would love making them. Thanks for introducing us to great quilting books and web sites. A copy of Prairie Life would be a fun book to have. I love these quilts. Thanks for introducing us to such wonderful books and web sites. Quilts of Love and Valor would be really special – I live in the Midwest and one of my ancestors settled in Iowa after the Civil War. He and his brothers had a Morgan horse farm in West Virginia and the war took all of their stock – one brother went with the South and the other two went with the Union, including my ancestor. I would love the Quilts of Love and Valor. Oh my! I just love learning about Civil War quilts so I can’t wait to get my hands on Quilts of Love and Valor!! I would love to win Prairie Life by Kansas Troubles Quilters. I am a big fan of the author’s work, and I would love another resource to help me reduce my Kansas Troubles fabric stash. Prairie Life is my pick. I would love to win Jan Patek’s new book. I have been following her for a long time and love her primitive style of quilting. I would love to have the Prairie Life book! Oh, it’s so hard to decide as I love them all. But, it’s the Prairie Life for me! Thanks for the previews and chance to win! Beautiful selection of books! Love the quilts in Prairie Life. Thank you for the lovely giveaway and the chance to win. I’m a prairie girl and proud of it. No matter where we travel, I love coming home to the wide open skies and vistas of the prairie. Lynne seems to capture that sensibility that prairie girls have in her rich colors and homey designs. Just looking through her books warms my heart. For me Prairie Life by Kansas Troubles Quilters would really make the month of May unbelievable. The book by the Kansas Troubles group. Quilts of Love and Valor but all 3 look marvellous! Thank you! Prairie Life! Wonderful book.Instant love. Table top turnabouts! I have a new spot in the kitchen office for a seasonal wall hanging. Prairie Life because I love all things Kansas Troubles. Her work is awesome. Also I don’t do hand work so although the other books for me are pretty to look through It’s not something I would do. Quilts of Love and Valor – I love books that combine history and quilts. I pick "Tabletop Turnabouts", projects I know I would finish. Thanks for the giveaway. I love Jan Patek’s applique pieces. They are so charming. I would be tempted to pull them all out and make one quilt using all of those pieces! And there are a few very appealing quilts in the Kansas Troubles an Quilts of Love and Valor, too. I adore anything with a Civil War Reproduction twist to it. Beautiful. So much talent out there! I’d love to play with any of these books! Love the Prairie Life book. But the Turnabouts are such a cute idea. I love to display quilts in my home. Quilts of love & Valor catches my quilting eye. Tabletop turnabouts looks like a lot of variety to choose – thanks the giveaway chance! Tabletops Turnabout intrigue me. Ilke to make table toppers because as the seasons change, its easy to give the kitchen a fresh look without a lot of effort. Prairie Life—I love anything from Kansas Troubles! Table Top Turnabouts would be my choice. Although I love them all, and it’s a hard choice, I believe I will say Prairie Life. Thank you for this give a way. Tabletop Turnabouts is my favorite, although Prairie Life is a close second! What terrific possibilities they all have for us quilting fanatics! I would like to win either Prairie Life or Quilts of Love and Valor. I love the Civil War era patterns and fabrics, as well as the history behind them! And Kansas Troubles always has beautiful projects in their books! Either one is a winner! Thanks so much for the chance to win one of these fabulous books! Kansas Troubles Prairie Life would definitely make My merry for me. Tabletop Turnabouts What a great idea. You can have a double duty holiday one by putting Thanksgiving on one side and Christmas on the other. I have never seen this concept before. Thank you so much for this giveaway. What a tough choice this month. I make the same type of quilts Jan has in her book, only in 6″ x 12″ size, and they are fun to switch with the seasons, so it would be equally fun to have her larger sizes and nice designs. I would most want to have Quilts of Love and Valor, for the letters as well as the lovely quilts. I may be needing to buy more books when these all come out! Quilts of Love and Valor would be the perfect addition to my collection of patriotic quilt books and I especially love ones with stories……combining my love of quilting and reading…..what more could I ask for? I saw several quilts that I liked in Quilts of Love and Valor. Tough choice. Love both Lynne H. And Jan Patel desin. Prairie Life wins by a very small margin. Prairie Life would be my choice, although all three are beautiful. Thanks for the giveaways! Prairie Life" is my favorite. Thank you! Living in GA means that the Civil War is visible on just about every corner with their signs informing us battles, events, and historic information. Often the traffic is bad enough in Atlanta that we can read all the way through the historic information 🙂 Quilts of Love and Valor would be a wonderful addition to my growing collection of time period quilting books. QUILTS OF LOVE AND VALOR!! Love them all but my favorite is Prairie Life! Quilts of Valor is my favorite but I like the Kansas Troubles one also. Thanks for the chance to win. Quilts of Love and Valor!! I love Civil War quilts and the stories that match them too. Tabletop Turnaround would be my first choice. I did not like history in school, but now that I am old enough to have some history myself, I am more interested in history. quilts of Love and Valor would be so interesting. I would love to have this book! "Quilts of Love and Valor" would be my choice–I think the stories as well as the quilt designs would be a great addition to my quilt library! Tabletop Turnabouts, but they all have awesome projects. I THINK QUILTS OF LOVE AND VALOR WOULD BE A FIRST PICK. CLOSELY, FOLLOWED BY PRAIRIE LIFE. LOVE THEM BOTH! I think Tabletop Turnabouts would be my choice. A great way to improve my appliqué skills. Quilts of Love and Valor–who doesn’t love a love story? Quilts of Love and Valor is my top choice of these amazing books! Prairie Life, foe sure! Can’t wait to see it. Prairie Life, for sure! Can’t wait to see it. Such a difficult choice as I would be thrilled to receive any of the three. I’ll say Prairie Life would be my number one. tabletop turnabouts looks like fun. i love applique! Kansas Troubles Quilters Prairie Life is the book that appeals to me the most. I’d love to win it. I would like the table top turnabout. I have a 12 inch hanger, so that would be perfect! Quilts of love and valor! lLooks like I could use up some Kim Diehl fabric. Table Tops Turn about. They are al very special. Table Turnabouts – what a great idea! Kansas Troubles Quilters Prairie Life would give me inspiration for some new projects. Tabletop Turnabouts would be so much fun to make! Quilts of Love and Valor is my choice. Quilts of Love and Valor is my style all the way, but All 3 are wonderful. I’m just getting started with the civil war fabrics so patterns with those types of fabrics are perfect. Quilts of Love and Valor looks like just my kind of book. But I LOVE Jan’s designs as well! Table top Turnabouts is my choice, but all look like fun books! Quilts of Love and Valor would be a nice book to have since it sounds like the stories are interesting. I do like the Prairie Life book as well. Prairie Life looks lovely! That would be my choice! to start with Prairie Life. Quilts of Love and Valor – just beautiful and inspiring. Quilts of Love and Valor would be the book for me. I’d choose Prairie Life. I just love Kansas Troubles fabric! I like quilts of love and valor. Prairie Life looks like the one I would love. Thanks! Tabletop Turnabouts. I’ve made a few small quilts to cover a small table and a tea cart. I’m looking for new ideas for more. This book is perfect.